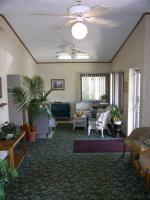 At Arbor Inn we are committed to giving you quality, comfort and convenience at an affordable price. As a guest, you will enjoy the comfort of clean spacious rooms all at ground level and only steps away from your car at a very affordable price. Having a party or family reunion? Let the Arbor Inn help you make your plans. Turn your get together, into a picnic with the use of our picnic areas, grills and large lawn. Microwaves and refrigerators available in most rooms. Pets are welcome. Reserve our conference room for your next office meeting. The Arbor Inn is a great place to stay while enjoying antique shopping in Marshall, a visit to Cornwell's Turkeyville, U.S.A. and Cornwell's Dinner Theater, or a trip to Binder Park Zoo. There are fifteen public golf courses within 30 minutes and many choice fishing spots.